You can change the V-position on the front lines, depending on your preference and riding style. Recommended to be used with dice, evo, neo, mono, rebel, juice. Clickbar S with vegas and upgrade kit/hadlow setup. Lines are automatically untwisted during rotations. Even the guided safety line is untwisted to reach an optimum of safety and comfort. The Click Bar S can be upgraded with the optional 6 line Hadlow setup. 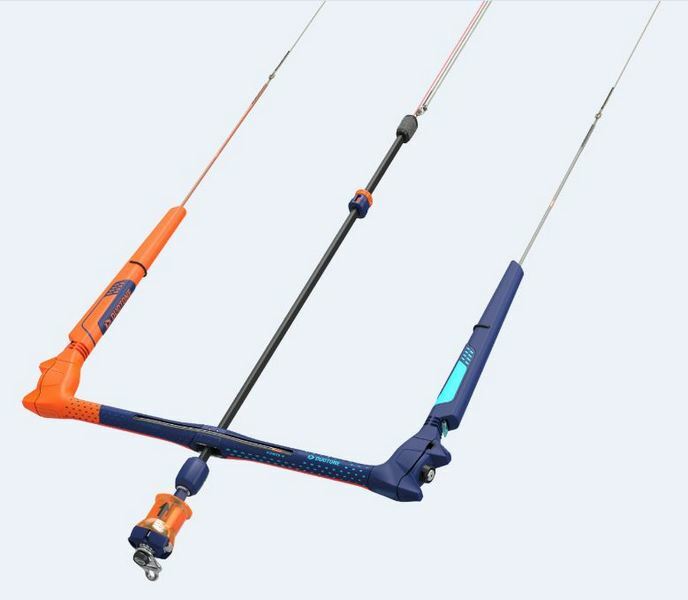 The Click bar is equipped with the Iron Heart V, ensuring a quick and reliable safety release, lines, even the guided safety line, are automatically untwisted during rotations.